I really don’t know where this one came from. 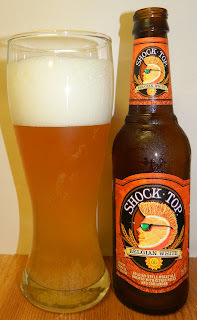 I just saw it in the beer fridge and decided to add it to this round of summer beer reviews. I have had this once before but it was so long ago I really don’t remember anything about it. The beer pours a hazy light yellow almost straw with pale golden hues and a fairly rich bright white head. This is highly effervescent with lots of tiny bubbles rising up from the bottom of the glass. The nose is modest but pleasant with sweet pale wheat malt aromas and notes of citrus and a touch of banana. OH my, what a bad first sip. I’m not sure what’s wrong with this but it has some really bad flavors. It’s like an Adjunct (junk lager) wheat beer. Not Good! I really don’t want to do a play by play but I’ll attempt it anyway. Right up front when you expect some type of malt sweetness on the tip of the tongue you get a bland grassy taste. That is followed by an uneventful mouthfeel in the middle of the sip. There is a grassy harshness that builds in the middle of the sip into the back-end. This harshness forces a substantial hesitation at the top of the swallow removing any refreshing aspect to the experience. The harshness continues into the finish making this is very unpleasant experience. There are some pale wheat malt flavors but they are subtle and almost take a back seat to the grassy harshness. The final aftertaste is more of that grassy off flavor and a touch of citrus. This has not been a good experience. It can’t quite give this an F but I can give it a D for sure. This is not a good Witbier or even an American Pale Wheat Ale. 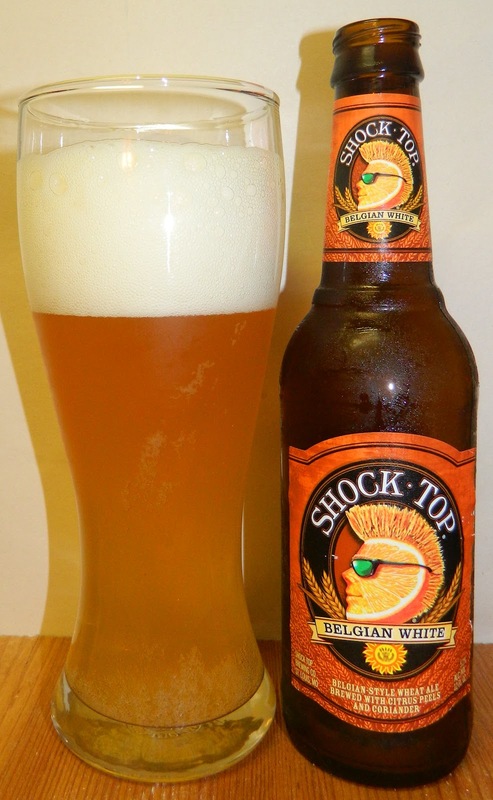 D- | Shock Top is probably the worse tasting Belgian Wit that I have ever had. There are some pale wheat malt flavors but they are overshadowed by a harsh grassy flavor throughout the taste from the beginning to the finish. Not a good beer at all.